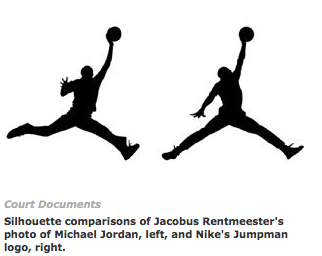 Clancco » Art Law » Will SCOTUS opine on “Jumpman” copyright dispute? Photographer Jacobus Rentmeester is accusing Nike Inc. of stealing his 1984 picture of Michael Jordan to create its iconic “Jumpman” logo. Rentmeester wants the U.S. Supreme Court to draw the line between when two pictures are simply similar and when one is a copy. More here. SCOTUS docket here. This entry was posted on Wednesday, March 20th, 2019 at 1:15 pm	and is filed under Copyright, Feature. You can follow any responses to this entry through the RSS 2.0 feed. Both comments and pings are currently closed.